Rather than your ordinary banana cream pie, this recipe includes a splash of rum to kick it up a notch. Mix sugar, salt, cornstarch, and flour in a saucepan. Gradually stir in the milk. Cook over moderate heat, stirring constantly, until mixture thickens and boils. Boil for 1 minute, then remove from heat. Stir a little of the mixture into egg yolks. Next, blend egg yolk mixture into hot mixture in saucepan. Boil 1 minute more, stirring constantly. Remove from heat. Blend in butter and vanilla extract. Add rum to pie mixture. 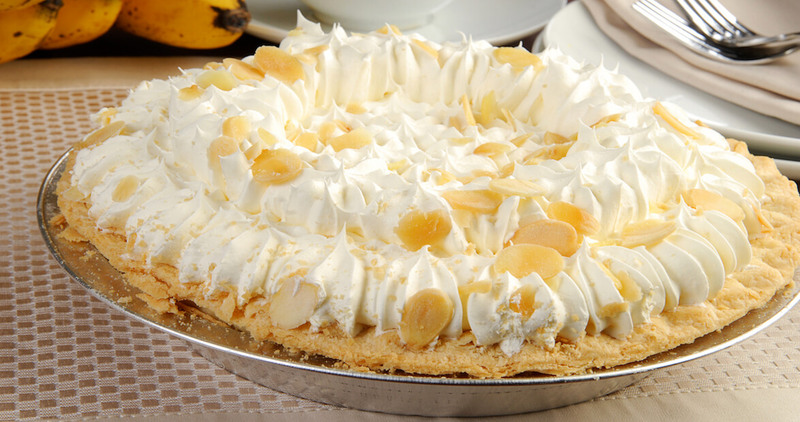 Place sliced bananas in the bottom of pie shell. Pour pie mixture into baked pie shell. Chill for 2 hours. Top with whipped cream topping if desired.